Did you know that we will give you 5% discount if you tell your friends that you bought a kitecourse? The only thing you need to do is share your purchase on Facebook or another social media before payment. 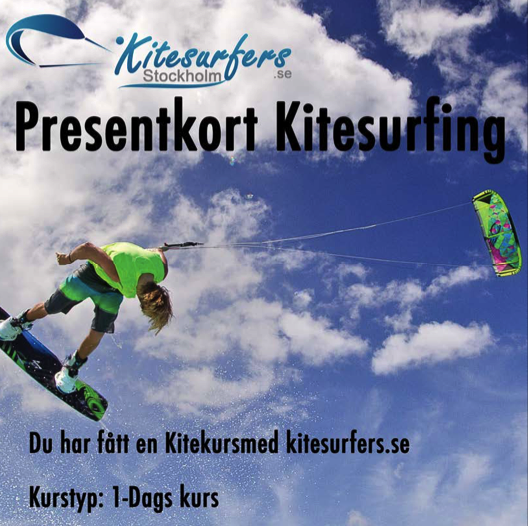 Kitesurfing in Stockholm? You are at the right school! 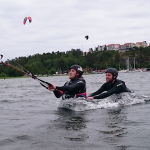 On Kitesurfers - Stockholm Kiteschool we teach everybody to kitesurf! With our unique 3-step program, we can teach you to kite surf with better progress than any other school, where you have time to learn and let the knowledge sink in before you pull on your wetsuit on the beach. You choose what speed you want to learn and what course you want to join, but we recommend everyone who is hungry for kitesurfing to take our famous two-day course since this is the time that you least need to finish the course as independent and can continue to learn on your own. We have the highest quality of everything from equipment to instructors. All of our instructors are trained by the International Organization IKO and many of our instructors have also worked abroad and in many different environments that make them have great knowledge of how to teach the best way! 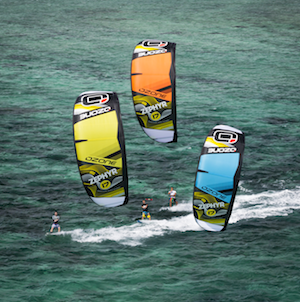 This course is for those who want to discover the world of kitesurfing. We will coach you on all basics in this sport, including site assessment, installation of equipment, safety and of course lots of kite control. The course covers land-based and water-based exercises and is packed with adrenaline. 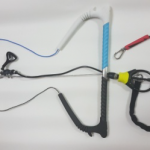 Learn all the skills required to kitesurf including kite control, security and wind theory. All teaching is held by IKO certified instructors. 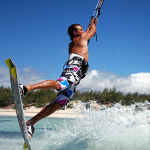 Learn to kitesurf in a safe and comfortable way. 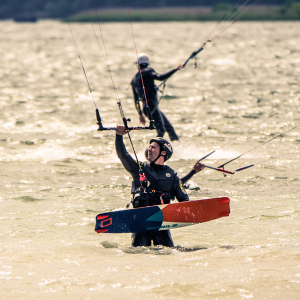 We know the best spots to learn to kite surf on in our city! Our experienced IKO-licensed instructors will guide you through the course in small groups that allow you to learn in your own pace. which means lots of action, the right amount of theory and a really fun day out! We want to make sure that you learn to kitesurf in a safe way and at the same time can develop as fast as possible in a pace that fits you. The latest equipment and no delays. We don’t want that old and un secure second-hand gear stands in the way of your development, thats why we always invest in the latest equipment every season. 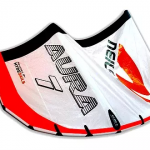 One advantage of being such a big school is that we can always match the right equipment (kite, board and wetsuit) to you as a person and your kitesuf level, this means that no student ever have to wait for equipment for their size to be free. It doesn’t matter if you aim to learn to kitesurf just for exercise, explore the sea and secret spots, want to become a pro rider or just want to try kitesurfing and have a fun day out in the sun. You have come to the right school, we welcome al levels of students. In the end of each kitesurfing course your instructor will assign you your personal certificate stating what level your have personally reached during the course. A kite surfing course for those who want to learn all the kite surfing. We start on the first day to cover all the basic skills of kitesurfing, including advanced management of kites and body moves. You are coached through the takeoff and landing techniques all safety aspects. The second day you have the chance to put your new skills to the test. We will guide you through the water starts and long lasting ride. Let’s see how you evolve, soon you may start to go in both directions and investing in turns. You get your own IKO certificate indicating your level at the end of the course. 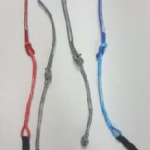 Your passport to kitesurf world! If you are in a stage where you have learned all the basic in kitesurfing and may need some expert coaching. Where is the the refresh course is a good way to develop quickly. It also means that you can relax and make progress at your own pace. Buy a gift certificate to give away any of our courses! You can choose to buy gift cards at 999: -, 2495 – or 3599 – depending on which course you want to give away! The voucher is valid for 1 year from date of purchase, and need not be personal. 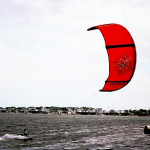 This course is ideal for those who both want to try to fly a small kite on land, but also go into the water and feel the power of a big kite. We will teach you how to control the kite in the air for you to be able to body-surf your way forward in the water. It’s extremely fun and provides a great adrenaline rush.